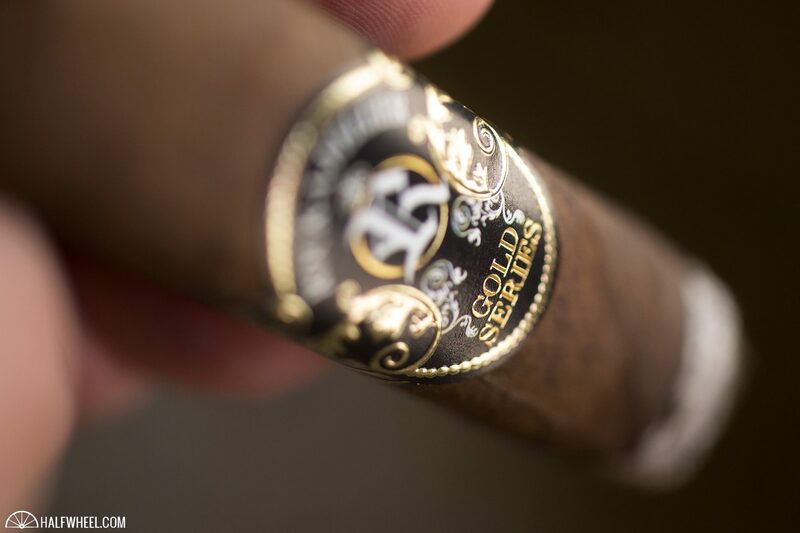 Although you many not heard of the Vintage Rockefeller Cigar Group cigar brand, you have probably heard about some of the people that started it. 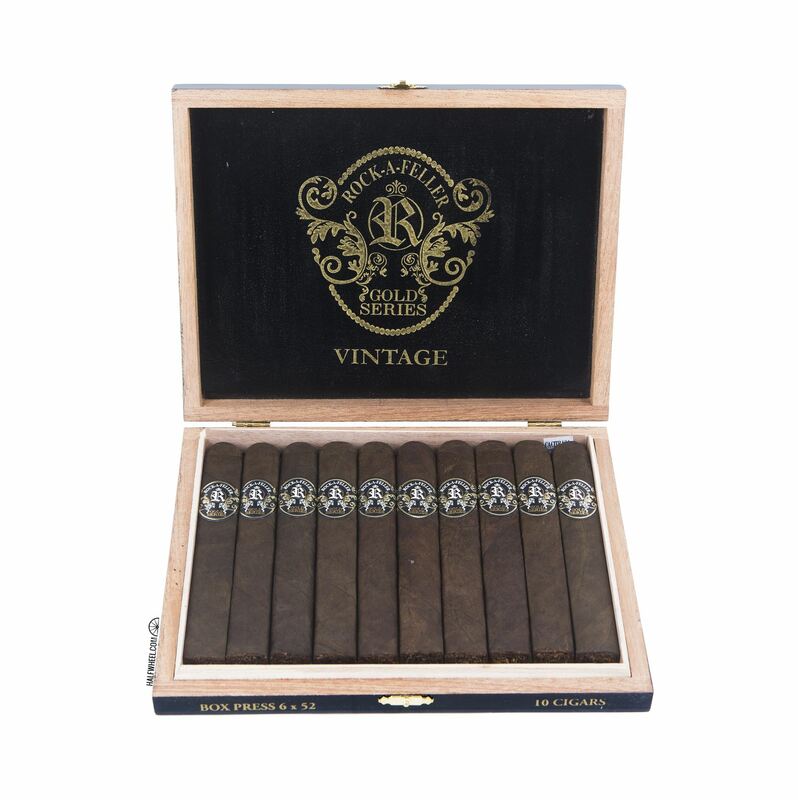 One of those aforementioned limited lines is the Rock-A-Feller Gold Series, a 6 x 52 box-pressed toro covered in a San Andrés wrapper and featuring an Ecuadorian habano binder as well as filler tobaccos from the Estelí, Jalapa and Ometepe regions of Nicaragua and broadleaf from Pennsylvania. Packaged in boxes of 10, each cigar carries an MSRP of $13, and only “about” 10,000 total cigars are being produced. In addition, while the existing core brands are made at Tabacalera L&V S.R.L., the new line is being produced at American Caribbean Tobacco S.A. in Estelí, Nicaragua. According to Schweitzer, the Rock-A-Feller Gold Series had a soft launch at Queens, N.Y.-based Havana Dreams in May and Gold Coast Cigar Lounge in New York in June, but that it will make its formal debut at the 2017 IPCPR Convention & Trade Show in July, with boxes scheduled to ship to retailers in August. 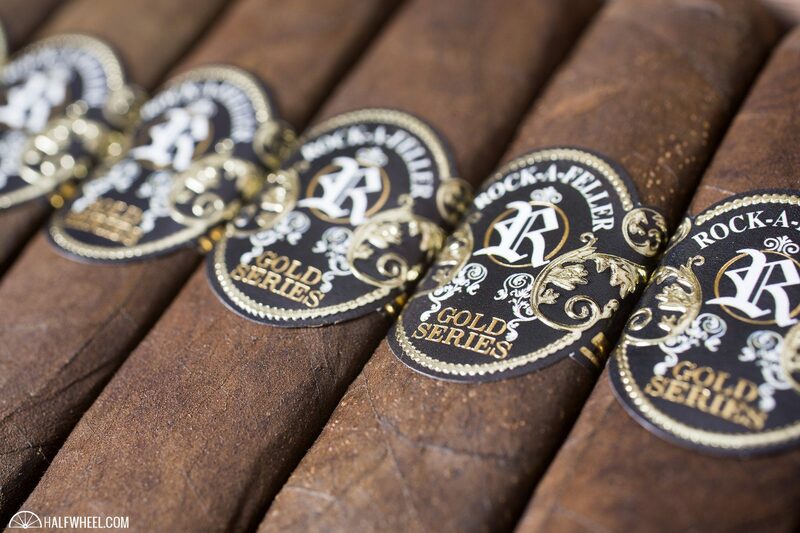 Visually, the Rock-A-Feller Gold Series is striking, with a dark espresso brown wrapper that is slightly toothy to the touch and featuring a touch of oil. 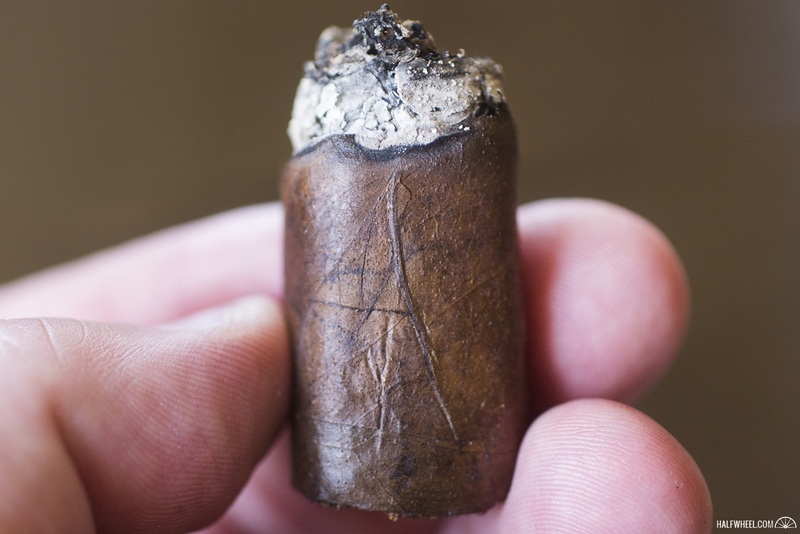 The cigar has a very obvious box-press along with very few noticeable veins and is quite firm when squeezed. Aroma from the wrapper is a combination of hay, manure, earth, peanuts, leather and vanilla sweetness, while the cold draw brings flavors of dark chocolate, espresso beans, roasted nuts, leather, barnyard and cotton candy sweetness. 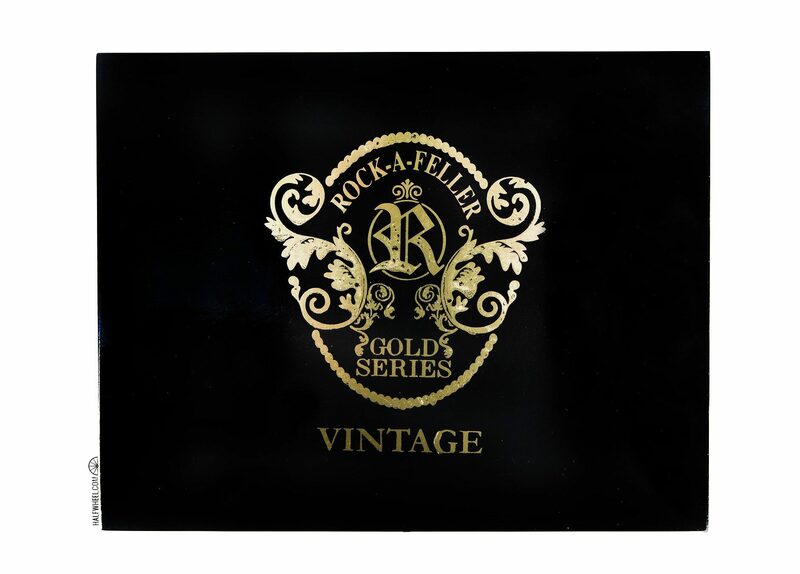 Starting out, the Rock-A-Feller Gold Series features dominant cashew and creamy oak combination, followed by notes of leather, dark cocoa nibs, roasted coffee, hay and cinnamon. There is a nice maple syrup sweetness present on the retrohale that seems to be getting stronger as the first third burns down, as well as some black pepper and slight lemon citrus on the finish that seems content to be background notes for the moment. The draw is excellent after a standard straight cut, and while the burn line wavers a bit, it is not nearly bad enough to need correcting yet. Smoke production is off of the charts and the overall strength hits a point halfway between mild and medium by the time the first third comes to an end. The maple syrup sweetness increases in strength noticeably during the second third of the Rock-A-Feller Gold Series, leading to a slightly more complex profile. The dominant flavor has shifted a bit to more of a espresso bean note, followed closely by cinnamon, grass, leather, toast, cashews and dark, bitter chocolate. The black pepper and the lemon citrus note on the finish from the first third has also increased and I am also noticing a bit of spice on my tongue that comes and goes. Both the draw and burn continue to impress, while the smoke production continues at a very high level and the overall strength comes quite close to the medium point as the second third comes to a close. While the maple syrup sweetness on the finish decreases in strength during the final third of the Rock-A-Feller Gold Series, it remains a decent part of the profile, and combines nicely with other flavors of creamy cashews, cocoa nibs, oak, hay and cinnamon and toast. Amounts of both the black pepper and lemon citrus on the finish are down noticeably, and the spice from the second third is long gone. Construction-wise, the draw continues to give me no issues, and while the burn has started to waver a bit, it is not bad enough to need touching up. The smoke production remains quite high and while the strength level of the toro does finally hit the medium mark, it stalls out there and never threatens to move further by the time I put the nub down with about an inch left. 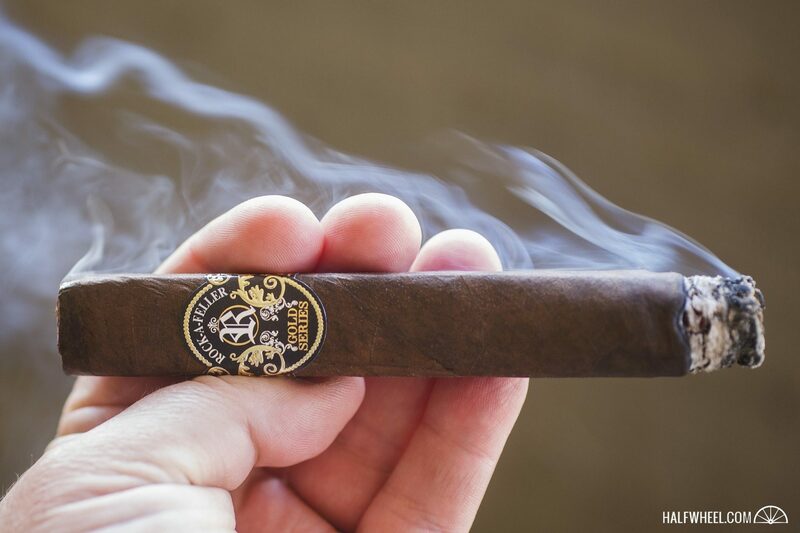 The first two thirds were easily the best of the cigar, and while the final third was not horrible by any means, there was definitely a drop-off in both the distinctness of the flavors and the overall complexity. Although the core flavors seemed to stay consistent through each of the cigars I smoked, one of them had a very noticeable increase in the maple sweetness, while another featured a bit more strength than the other two. I cannot say enough about the construction on these cigars: the burn stayed close to razor sharp, and the draw was excellent for all three samples. Just a joy to smoke in that regard. Having said the above, the ash posed a slight issue, and seemed to fall off in little chunks at the most inopportune time. Not a huge issues, but I would not smoke this cigar over a computer. 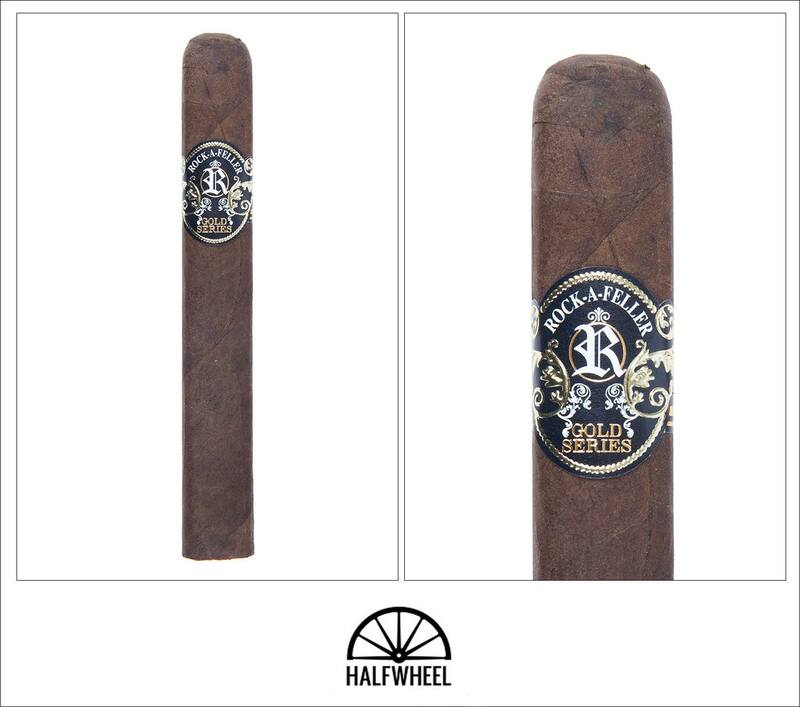 The cigars smoked for this review were sent to halfwheel by Vintage Rock-A-Feller Cigars. The final smoking time for all three samples averaged one hour and 32 minutes.